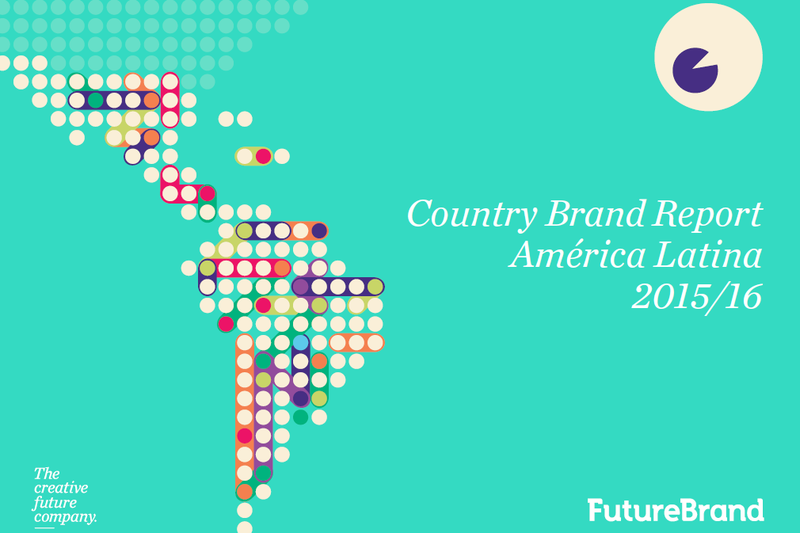 FutureBrand consultancy recently published its 2015 Country Brand Ranking for Latin America. Here’s a summary of key insights and interpretations by Gustavo Koniszczer, Managing Director FutureBrand Spanish Latin America. 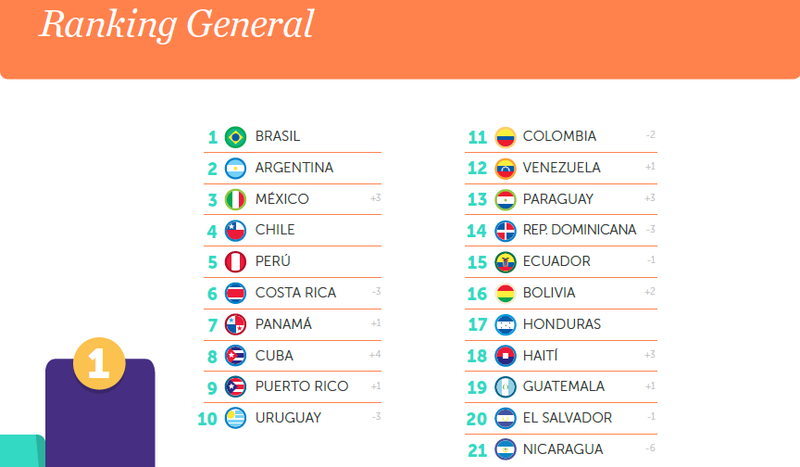 Gustavo, which findings of the 2015 Country Brand Ranking did you find the most intriguing? The 2015 Country Brand Ranking confirmed that a country’s internal crises don’t affect its external image that much. Positive agendas and large media presence seem to have a larger impact. In other words, the “distance” factor (which in the case of Latin America does not apply to the United States) acts like an image filter. This can explain why there has not been a significant amount of negative associations to the Latin America region. Another intriguing finding was that India is the country with the most favorable perception on Latin America. This is surprising considering that – except of Brazil which is a fellow member of the BRICS and IBSA forum – the region’s commercial relations to India are not as close as those with China, for instance. There is no historic relationship with India. Yet, our findings indicate that over the last years, world’s largest democracy and one of the main hubs of global growth has moved closer to Latin America. For Latin America, India represents enormous potential as a strategic partner and to strengthen South-South relations. Which countries have seen the strongest increase in brand reputation? And why? Cuba has been the great surprise of this year. Up four places, it is the country that has climbed more positions in the ranking. Cuba enters the scene after a year with a lot of progress in terms of international politics and economy, following the restoration of diplomatic relations with United States. This event has created positive expectations in public opinion and the media coverage around it had an impact on the perception of dimensions that exceeded those linked to “Purpose” (more related to the political issues) but also in “Experience”. Mexico has also climbed three positions in the ranking, up to third place. Despite internal conflicts in politics and security, Mexico has harvested years of assertive and energetic investment on promoting consistently its culture and tourism around the globe. This “experiential” attractiveness combined with its powerful economy and its significant size, not only in the region but as a global emergent power, give Mexico a competitive advantage. Which countries have seen the strongest decline? And why? Nicaragua has dropped 6 places, the biggest fall in the general ranking. However, other countries that still get a place in the top 10, declined. For example, Costa Rica and Uruguay. 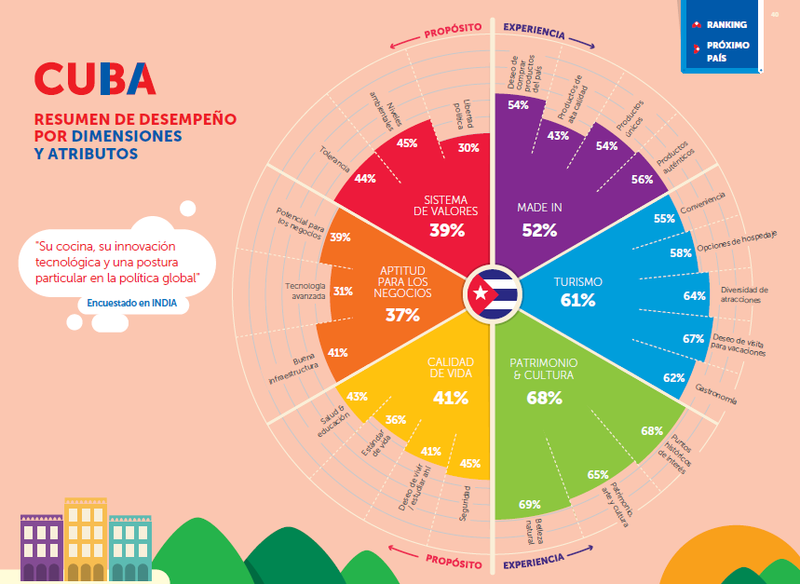 Although Costa Rica has a good reputation in the dimensions linked to purpose, other countries had a better perception in those fields this year. This can be explained not by a problem with Costa Rica per se, but of a higher competition between countries where everyone is increasing efforts to promote their image. In the case of Uruguay, part of the decline could be explained by an ease of the “Mujica effect”, which gave Uruguay a lot of presence and attention from the rest of world (even named “country of the year” in 2013 by Time magazine). The question is if this is a momentary decline, but the associations gained will last as a base to keep building on them. How does the Country Brand Ranking work in terms of methodology? This report, focused on the Latin American region, embraces the methodology of our global “Country Brand Index” investigation, which since 2005, has studied perceptions and associations of countries in the same way we measure consumer or corporate brands. We use FutureBrand’s proprietary Hierarchical Decision Model (HDM) for determining how key audiences – including residents, investors, tourists and foreign governments – perceive a country’s brand, from mere awareness to advocacy. This model provides perceptions that help us measure how well developed a brand is and also how to approach it. Moreover, our HDM allows us to measure the performance and relative progress of a country. In a nutshell, the HDM considers the following variables: Awareness, Familiarity, Associations (measured by 6 dimensions: Quality of life, Value system, Business Potential, Tourism, Heritage & culture, Made In), Preference, Consideration, Visitation and Advocacy. 2,000 frequent travellers from 15 countries outside Latin America are asked to answer a questionnaire which is based on the HDM matrix. Looking back over the last five years, which trends do you observe? One of the biggest trends visible from the Country Brand Ranking has to do with the professionalization of the discipline (public diplomacy and country branding) in the region. Countries are developing stronger strategies in territorial branding, not only at the national level but also in cities and regions. Moreover, there is a stronger interaction between public and private sector in the goal of fostering country branding initiatives, especially with sector-related brands. Related to this, the “Made In” factor is also gaining weight. Brands do act as ambassadors of the attributes of a country. However, the Latin America region still has a great challenge ahead in this matter, since only the countries with better perceptions have recognition of brands of origin. Overall, the Country Brand Ranking shows that Latin America is mostly known in connection with natural resources, so there is still a road ahead to promote the additional value of our products and services. Like this summary of the 2015 Country Brand Ranking for Latin America and the insights provided by Gustavo Koniszczer? Please share!